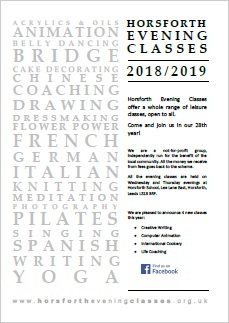 If you fancy the Italian lifestyle, you can take the first step to finding out more by enrolling in our Italian language class. This class is for students who have completed about a term of learning and not suitable for complete beginners. Emphasis is on building up vocabulary and grammar, whilst enjoying speaking and understanding. We aim to build up language and look at Italian culture to allow you to get by in Italy.